By day, Angie, a twenty-year veteran of the tech industry, is a data analyst at Tomo, the world's largest social networking company; by night, she exploits her database access to profile domestic abusers and kill the worst of them. She can't change her own traumatic past, but she can save other women. When Tomo introduces a deceptive new product that preys on users. William Hertling is the author of Avogadro Corp: The Singularity Is Closer Than It Appears, A.I. Apocalypse, The Last Firewall, and The Turing Exception. His near-term science-fiction novels about realistic artificial intelligence have been called "frighteningly plausible," "tremendous," and "must reads." 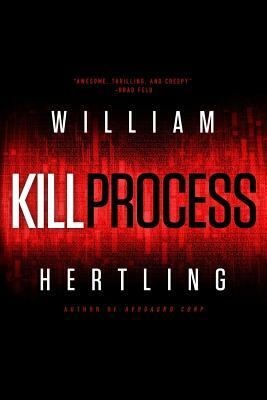 Born in Brooklyn, New York, William Hertling grew up a digital native in the early days of bulletin board systems. His first experiences with net culture occurred when he wired seven phone lines into the back of his Apple //e to build an online chat system. He's been influenced by writers such as William Gibson, Charles Stross, Cory Doctorow, and Walter Jon Williams. He currently resides in Portland, Oregon. Follow him on twitter at @hertling or visit his blog williamhertling.com.